Day 7 of our trip and we reached Preikestolen, a huge plateau, 604m above the sea. 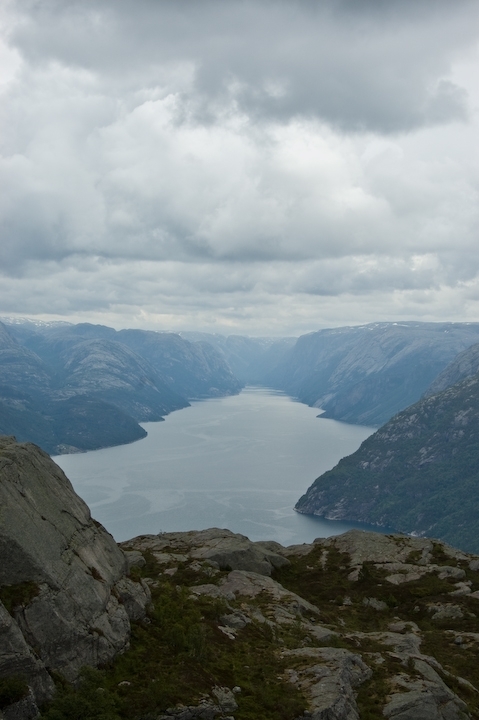 Here’s the spectaculare view, along the Lysefjord. Sadly, the sun won’t come out but is still a great sight.